The film, in fact, is brilliant, mesmerizingly lovely, and almost alarmingly biblical. 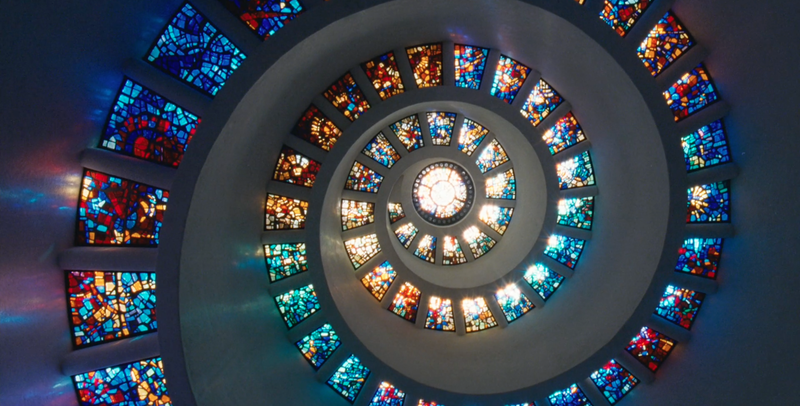 Even if one is not enchanted (as I most definitely am) by Malick’s signature cinematic mannerisms, or by the fleeting hints of his more recondite intellectual preoccupations (Heidegger? Gnosticism? Buddhism? Russian Sophiology, perhaps? ), surely one ought to recognize the ingenious subtlety of the scriptural allegories around which the film is built, and of the film’s meditations on the mystery of God’s silence and eloquence, and on innocence and transgression, and on the divine glory that shines out from all things. And it contains redundant scenes of heartwarming tableaux of the happy Catholic family, both at the dinner table and at church.